Careers for graduates: learn about KPMG Enterprise Audit, Assurance & Risk Consulting (AARC) services for the mid-market. 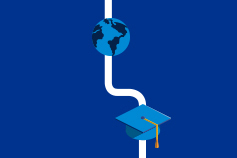 Careers for graduates: learn about KPMG Enterprise AARC services for the mid-market. Enterprise AARC performs statutory audits of middle market companies. These companies range from small businesses to ASX listed companies and charities. Our team focuses on providing users of financial statements confidence in the numbers being reported in the financial report. The best part of the being in the Enterprise AARC team is the quality of people you get to work with. They make for a good environment that enables quality friendships both inside and outside of the workplace. Every day is different depending on the time of year and clients you are involved with. We are based mainly out of the office at the client’s site. Our teams vary in size from 1 to 2 individuals to sometimes 6 or 7. Given our clients are from numerous different industries, every client and job is different. You get insight into how numerous types of business operate. You learn to understand our clients and how they do business. A typical day is likely to be based at a clients site performing testing on significant accounts. This testing can vary from performing analytical procedures, test of details or data analytics depending on the audit approach. Over the first year, graduates learn how to use our auditing and other associated software, including Excel. You’ll learn how to identify financial statement risks for different types of companies. How to test the identified risks. How to develop analytical procedures. And how to perform tests of detail. Most importantly, working as part of a team, you’ll learn how to meet various deadlines. The Enterprise AARC team is a very inclusive environment with a young demographic. We all work together to get the job completed. There are various social events throughout the year to ensure you get to know people outside of the office environment.